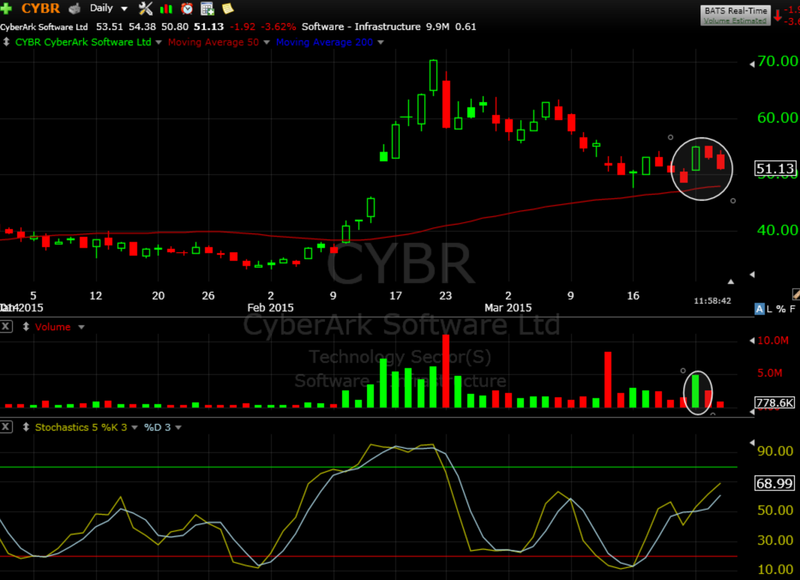 Today’s swing trade stock chart of the day is CYBR. Cyber security stocks have been on fire since early February. When stocks go parabolic like CYBR, it is often tough to find a good entry level. Now the stock has pulled back to the 50 day moving average giving us an entry that makes it easy to mange our risk. Another way to play it would be to wait for a deeper pullback closer to the moving average, with a tighter stop and closer target.